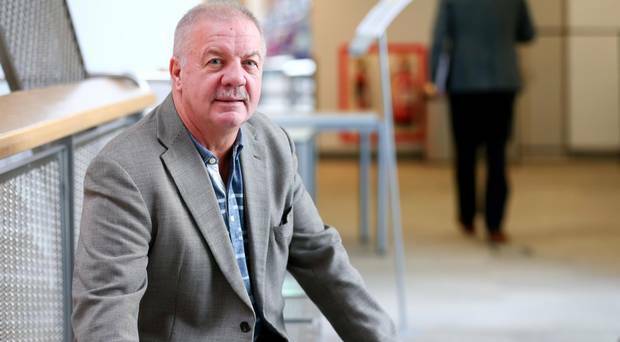 Victims’ campaigner Raymond McCord tells Deborah McAeese how his life is still dominated by the murder of his son 18 years ago at the hands of the UVF. More than 18 years have passed since your son, Raymond, was murdered by the UVF. Does it still dominate your life? I still cry at night over my son. There’s a photo of him up on the wall. I look at that all the time – Sunday nights, Wednesday nights, Monday nights. You try to keep things at the back of your head, but they only stay there for a while, then they come out. 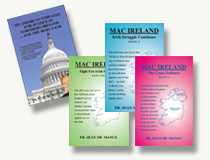 I remember when a mob got me and left me for dead (in 1992 Mr. McCord was viciously beaten and left for dead by six UDA members in Rathcoole after a dispute with the paramilitary group), so I know what was going through my son’s head. I know what happened at the murder scene. At times, I wish I didn’t know. Other times, I think I’m glad I know. But it never leaves my mind, what happened to him at that scene. Has your family not tried to encourage you to leave it in the past? Raymond’s mum and my other sons have always been very supportive of me. But there are people who say I should draw a line in the sand. But the pain doesn’t go away. You go to bed at night and you can’t sleep. You break down. Some days are worse than others. I remember one time I was having a beer with a friend, and we were sitting in the back bar having a drink. I’m the fella who is supposed to be a big tough guy, but I just broke down. Nothing brought it on – I just broke down. Just out of the blue, something hit me and the tears started. My friend didn’t know what way to look. It was embarrassing. That’s a side that people don’t see. That’s the side the powers-that-be don’t care about. Who do you mean by the powers-that-be? The police, the politicians, the First Minister or Deputy First Minister. I would love the First Minister or Deputy First Minister to say, “Lets do something for victims, let’s listen to them”. I’m fighting for justice. I haven’t seen one person in Stormont willing to support us. They can make a big difference. For the past four to five weeks, I have been trying to get a meeting with Arlene Foster. She went and met the Shankill families over the alleged agent, but she still hasn’t replied to my request for a meeting. Why does a father like me, whose son was murdered, have to be pushing for more than 18 years for justice? I am fighting to get justice for my son and for other affected families. Because of that, I can’t go into certain places because I’ll be shot dead. You relentlessly campaigned to prove collusion in Raymond’s murder. You were proven right in 2007 in the O’Loan report. Was that not enough for you? No, definitely not. There hasn’t been one police officer charged, even though collusion was proven. What is your endgame in this? I want to see the people that murdered my son standing in a dock along with the policemen who allowed him to be murdered and covered it up. And what’s the likelihood of that happening? Well, 20 years ago I didn’t have proof of collusion. Now I have. I’m not letting it go. My hand is stronger than it ever was. Political people have ran away from me. They want to keep everything rosy in Stormont. I believe politicians are going to sell victims out in legacy cases. What did you think when you heard the Chief Constable say he would support a debate about whether to draw a line under the past? I was disgusted. I believe the Policing Board should have brought him in and told him that if that was really his attitude, he would have to go. If that’s the attitude of our Chief Constable, what does it say for law and order here? We are part of the United Kingdom. Why should our justice system be different? They go after Nazi war criminals. There are ways and means to bring this forward. The will isn’t there across the water or among political people here. They don’t care. How clearly do you remember the day of Raymond’s murder? I remember it well. It was a Sunday afternoon. Police arrived at the door. I was living on York Road, opposite the police station. I was actually living there because I was under a death threat from the UDA in south-east Antrim at the time. It wasn’t unusual for police to call at the house as the UDA were always doing something against my family in the Rathcoole area. Why was the UDA always doing something against your family? I fought “Grug” Greg (John Gregg, the UDA’s south-east Antrim brigadier) in a bar and beat him. I fought with paramilitaries from I was 15. I never liked them. They were bully boys and drug-dealers. There was bad blood between me and them. So the police arrived out that Sunday? Yes, two of them called at my door. I brought them into the kitchen. One just said to me, ‘Your son’s body has been found’. I didn’t hear another word. After about two minutes, they left the house. I was screaming and shouting. It’s the last thing you expect. You see the adverts of police going to the door and telling the parents their son or daughter has been killed in a car crash. You watch it on TV and it is terrible. You don’t want to live through it. It is terrible. I don’t even remember the rest of the conversation. I was going nuts. I went up to Forster Green to the morgue with two mates of mine and one of my sons. When I arrived, the attendant stopped me and said, ‘You don’t want to go in there – it’s that bad’. So I left without seeing him. You must have felt so helpless at the time? I didn’t know what to do. It’s like your worst nightmare 10 times over. I don’t know what happened the rest of the night. For me, I had always looked after my family, my sons. If they ever got into trouble, if people hit them … if anyone hit my sons, I hit them ones. For the first time in my life, it was so bad. There was nothing I could do. You blame yourself because you weren’t there to protect your son. My firstborn son. People were able to take him away and hurt him and I wasn’t there to protect him. To be honest, I went looking for the ones I thought did it to him. I went to a certain place and I was going to kill them. It turned out, lucky for that individual, it wasn’t his people that did it. But then you would have been a killer too, no? People say you’d be as bad as them ones. Well, people can think that, but they have no right to say it unless they go through it themselves. For me, since I was 15 or 16, it has just been battle after battle. And do you still feel that way to this day? I know everything about Raymond’s death. I often think if I saw those who did it in the street, I’d be in jail now. The day after Raymond’s murder I went into Mount Vernon (a UVF stronghold). I thought it was the UDA that did it at the start. I went up to see a person in Mount Vernon, who turned out to be a police informant, to ask what he knew. He had been with Raymond the day of his murder. I went into his house and one of my son’s sat outside in the car. I asked him what happened. He told me lies about how they had dropped him off at the garage and blah, blah, blah. It turned out that the man whose house I was in and the man sitting there with him were two of the people who murdered my son. Hindsight is a great thing. If I’d known, I wouldn’t be campaigning now. You were in a room with two of your son’s killers but didn’t realize at the time? Yes. One in particular – his nickname’s the Enforcer – he was going on about how they would find out who did that to Raymond. At that stage, my son who had been sitting in the car came and rapped the door and said a load of fellas had just turned up outside. The two men in the house told us they were just their friends. I didn’t see then that they were panicking, that they had called in reinforcements. When I left the house and went into the street, Mount Vernon was black with UVF men. A few of them spoke to us and said, “We’ll find out who did it”. And did they attend Raymond’s funeral? Yes, some of the people who murdered my son were at the hearse and carried his coffin. That’s how sick these people are. After the funeral, my head started to clear a bit and I started to find out who had murdered Raymond. I went out to find who killed him. It turned out that the man who murdered him had been on weekend parole. He murdered Raymond while out on parole. The more people I started to talk to, I started to realize that his killers were police informants working for Special Branch. The police knew within hours who had done it and they didn’t do one thing. People didn’t take me seriously until 2007 when the [Police Ombudsman’s] report came out. Before the report, people were looking at what I was saying and thinking, “That can’t be right”. If someone had told me all that about collusion before Raymond’s murder, I wouldn’t have believed it either. Raymond was in the UVF. You say you hate paramilitaries. Were you angry with him for joining? When he was murdered, he wasn’t in the UVF. After his murder, I met with senior members on the Shankill. They told me he had been in it for a short period of time. He joined because of all the trouble the family was getting from the UDA. He joined to protect us. He was 22. He had never fought in his life. When I first found out, I put him out of the house. He came back the next day and rapped the door to come in. I brought him in. He was my son. I was raging, but there was nothing I could do. He was 22. If he had not been in the UVF, do you think you would have had more support for your campaign? No. There’s no support for any paramilitary victims. It’s a two-tier system. Murders by paramilitaries don’t get the same attention. You have to fight for justice. I mean, victims would come to me with justice issues for help getting meetings set up with the [Police] Ombudsman, meetings with police. I advise them. I’ve done it that many times, I have experience with it all. When I started off, I didn’t know what I was doing. In Raymond’s case, when did you start to think about police collusion? After the first week, when I started to talk to police. I knew it wasn’t right. I was able to find things out through contacts. Some of the cops were alright – they were dropping me hints that they weren’t allowed to do their jobs. There was no continuity with the investigation. I remember talking to a senior policeman. I asked him if the killers were working for the police. He said to me, “I’m a young man, I want to work my way up the ladder”. I said, “So if you charge people, you won’t get up the ladder?” He nodded. I was disgusted. After 18 years’ campaigning, aren’t you tired? I’m doing what a father should do. I’m doing what my sons would do if it had happened to me. They wouldn’t stop. Through all this I have had to protect my sons and Raymond’s mother as well. It must have taken a toll on you? It has dominated my life. It dominates everything I do. There are days you eat well, days you don’t. You don’t sleep well. I live on my own. People say I should have a partner or be remarried, but I can’t have a girl living with me. I can’t put someone in danger like that. I have seen how they (paramilitaries) attacked my family before. I have received that many threat. I have worked over the years to help get threats removed from young men, and most of the time I have been able to do it. But I haven’t been able to get threats removed from me. What is it that keeps driving you? Revenge? No. If it had been revenge, I would have just killed them. I’m doing what I believe is right for Raymond and my family. Anybody can get revenge – that would be the easy option. But this has been a long time. I have to watch my back all the time. I can’t ring a taxi firm to pick me up, I have to ring someone I know. I love walking about Belfast city center without a worry in the world. If someone has a go at me in the city center, they don’t have baseball bats and guns. The worst that could happen would be cut eyes and a few stitches. But you shouldn’t be thinking that walking around Belfast city center. You are fighting for all the police documents related to Raymond’s case to be released to you. Do you not agree that some sensitive papers relating to legacy cases cannot be disclosed for reasons of national security or threats to life? If it’s going to stop justice, it shouldn’t be held back. Theresa Villiers is saying justice comes second here. Murders were allowed to go ahead. The person doing the job right as an informer by saving lives, by all means, protect them. But the informers involved in the murders, why should they be immune from prosecution? It wouldn’t happen in other countries. I believe the files are being held back to protect the police or the senior agents sitting up at Stormont. I’ve heard you described as a “celebrity victim”. How does that make you feel? So how do you really see yourself then? As a father looking for justice. If I can help people along the road, then I will. For me, it’s a battle for justice for my son every day. And I am not going to stop.